Unique Boutique is an adorable thrift/rummage/resale shop in Greer, SC. 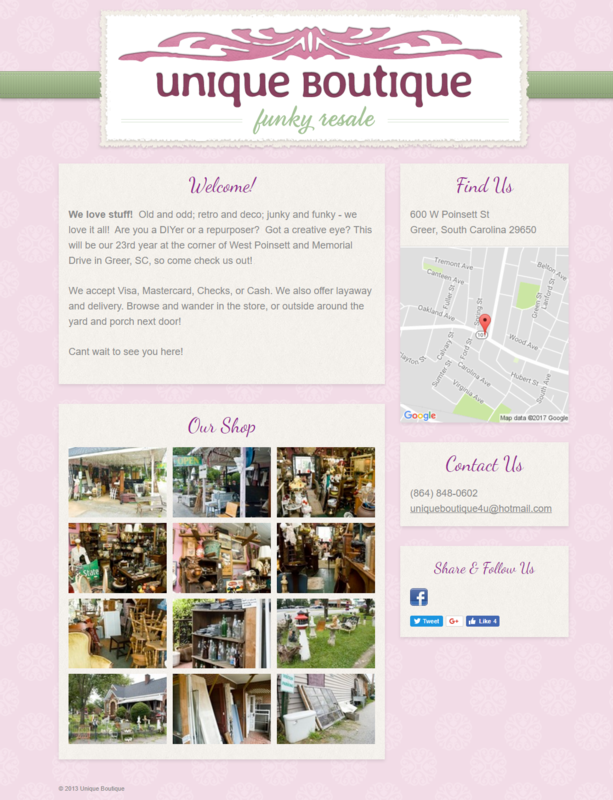 The owner was looking for a small, simple website, along with a Google Business page to help bring people in the area to her shop who may be searching for local rummage stores. For uniqueboutiquegreer.com, I custom-designed a small single-page website, built it out, and provided photography to use on her Google listing.